He raised his right hand and repeated the United States Oath of Allegiance and with that DePaul Maintenance Specialist Larry Perez realized a dream that began when he was young. “I just corrected a geographical error from when the stork brought me,” said Perez, a Cuban native who moved to the United States in May 2006. Perez, 46, was sworn in as a United States citizen on the morning of June 9 in Rochester, New York. Being able to vote in the upcoming presidential election is another milestone he looks forward to. Perez’s parents and three of his four siblings still live in Cuba. Since the United States restored diplomatic relations with Cuba last July, Perez said it has become easier for him to communicate with his family via phone and email. Hired by DePaul in October 2012, Perez lives in Rochester, New York with his wife and her son. Director of Maintenance Jim Branciforte said Perez brings a wealth of knowledge to DePaul. 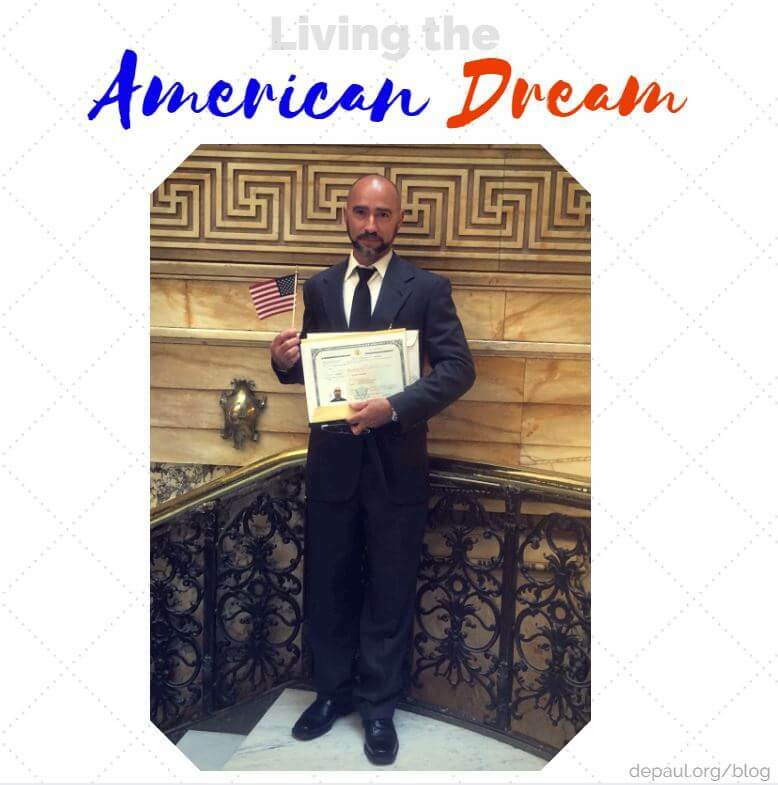 DePaul congratulates Larry Perez on achieving his dream of American citizenship!